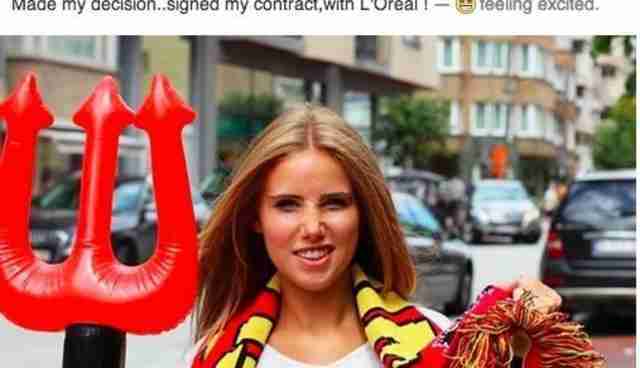 Belgian teenager Axelle Despiegelaere rocketed to fame when she was spotted cheering for Belgium in the World Cup, she even partnered with L'Oréal for a modeling gig. But all that came to an end thanks to her penchant for hunting. Originally, the 17-year-old was elated to announce that she'd been offered a modeling contract, all because her image was seen during the World Cup. Buzzfeed got a hold of L'Oréal, who said that they'd dropped the teenager. This is far from the first case of trophy hunting photos inciting internet outrage -- just last week, teenage hunter Kendall Jones sent fury through the internet for her big game photos, and they were eventually removed by Facebook.